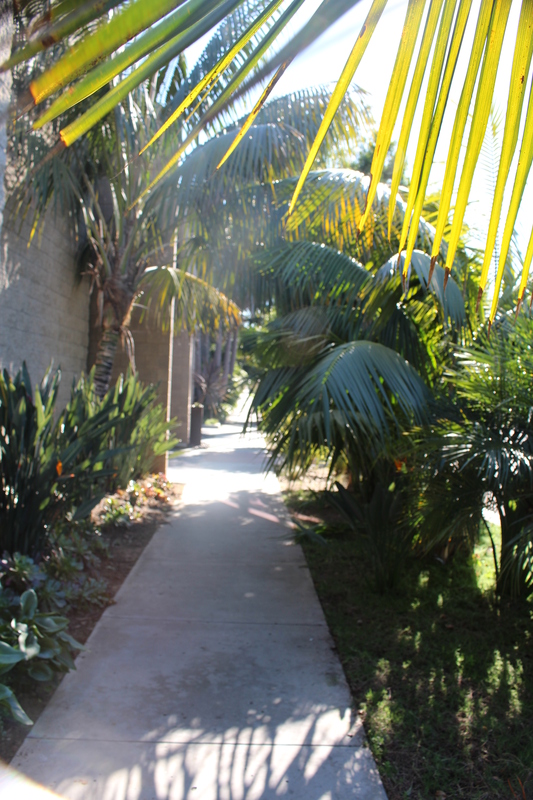 Wonderful little shady streets to walk in. 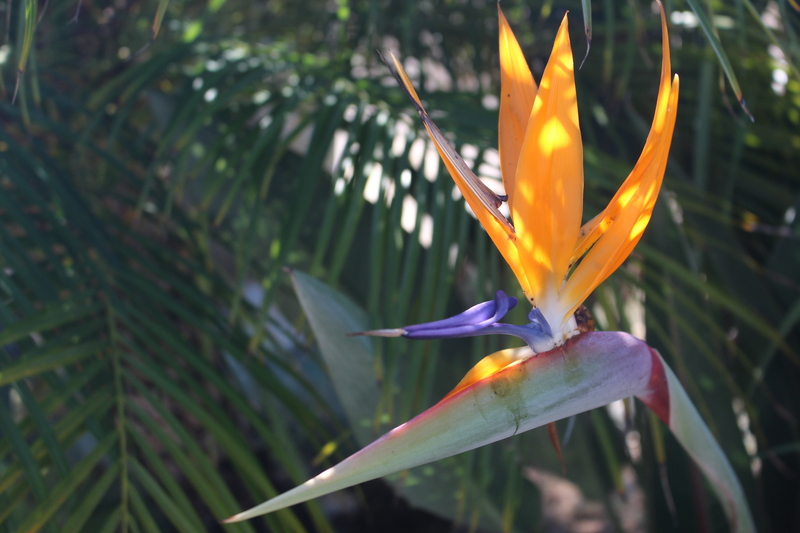 Beautiful Bird of Paradise flowers, growing alongside the road. 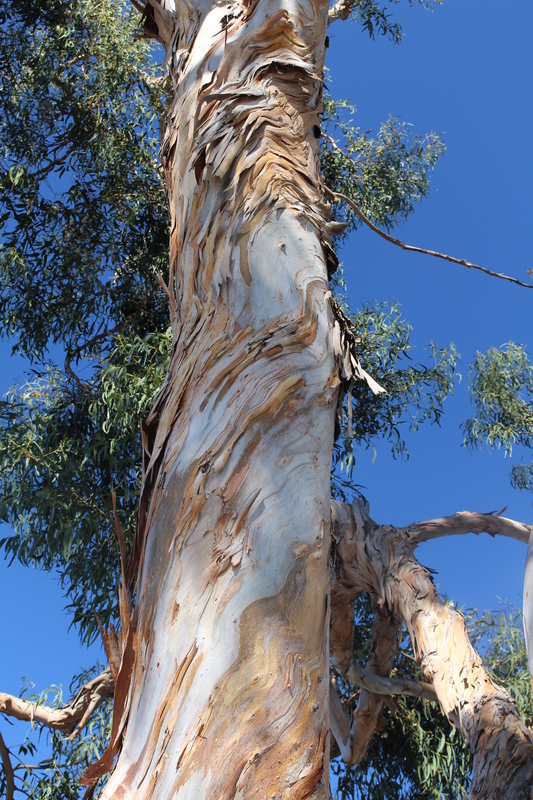 Giant Blue gum Eucalyptus line the streets. 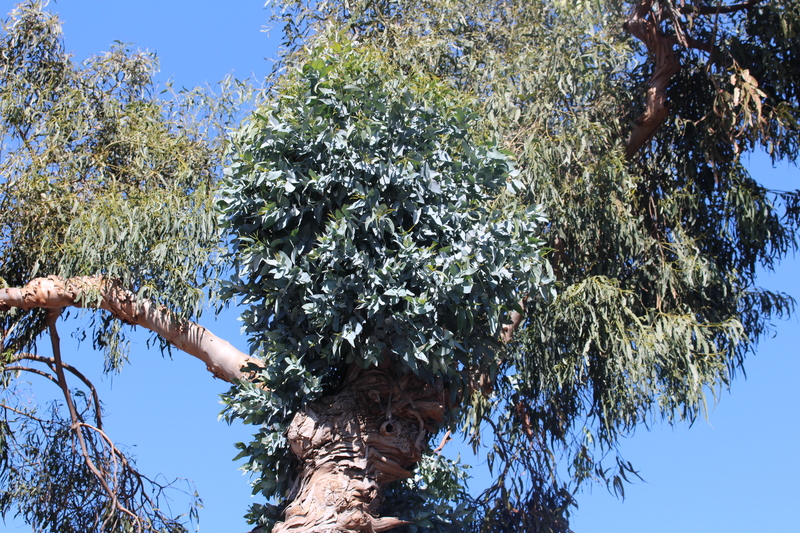 I have no idea about this, two different type of leaves on the same tree, is the big tree the host for the other?? anyone have any ideas out there?? ?